Become a time traveller at the hands of master storytellers at unforgettable Fugitives' Drift Lodge. Merging the modern day tranquillity of a scenic reserve with superb hospitality and the moving power of history, find out more about this truly memorable destination. If I had to set myself the near impossible task of coming up with one word that encompasses my time at Fugitives’ Drift Lodge, “legacy” is probably the most fitting. Looking down at the natural boundary of the Buffalo River and the sphinx-like shape of Isandlwana breaching in the distance from the balcony of the library, it was clear that the very land we looked upon silently coddled untold stories and we were lucky enough to be in a place where legacy bred wards of those tales. For our tour of Isandlwana, we were taken to a few stops by our guide, Mphiwa, rattling along the same path taken by the ox wagons of the British army in an old Land Rover listening to the voice of David Rattray provide a bit of context from an old recording. The form of Isandlwana visible from a number of vantage points was like a sentinel that, even from afar, held a certain mysticism. I had decided that, for each tour, I would use the Suunto Movescount app to track the route. More importantly, it has a feature that allows you generate a video of your pictures and video according to time and where you are on the map at the end and I thought this would be a great digital memento. The map is generated by your phone’s GPS and pairs with the Suunto watch which I usually use for running and hiking. Having never used this feature on my phone before, I aimed to use an app called Live Trekker at the same time. Like Suunto, it maps your course and you are able to attach voice clips, video, photos, and text to the various locations as you go. It turned out the only downside is that you need an internet connection and, having no signal at all in some places on the tours, I wasn’t able to use it. Arranged in a half-circle of chairs between the white stone cairns with Isandlwana in front of us, Mphiwa told us of the fighting that had taken place there in 1879. The plateau filled with white canvas tents and young men far away from home, oxen and horses. And then over the hills came the Zulus, an army of so-called “savages” that showed a military sophistication and patriotism of their own that overwhelmed the red coats. As we sat there peacefully drinking tea, the ground gradually became strewn with the bodies of men who had been shot or died at the end of a spear or assegai, lying together at the site of their demise. This was a great Zulu victory and to have it told by Mphiwa, the descendant of these warriors, was to hear it in the voice of hundreds of storytellers gathered around a fire at the end of countless days. In his voice, we heard the battle cry of thousands of Zulus unified in the darkness cast by the eclipse on that day in 1879. In his voice, we heard the cries of the fallen. In his voice, we reflected on the necessity of war – both past and present – as he conjured individuals that turned to masses in our minds. Heritage is joined in this place where the English pay tribute to loss and the Zulus are lauded in their victory. Mphiwa told us of his time working at Fugitives’ Drift Lodge and, hat in hand, hand on heart, with Isandlwana behind him, talked of David Rattray meeting with a village elder to talk over the stories as they had each been told them and the meaningful place this man occupies in his memory, emotion in his voice. 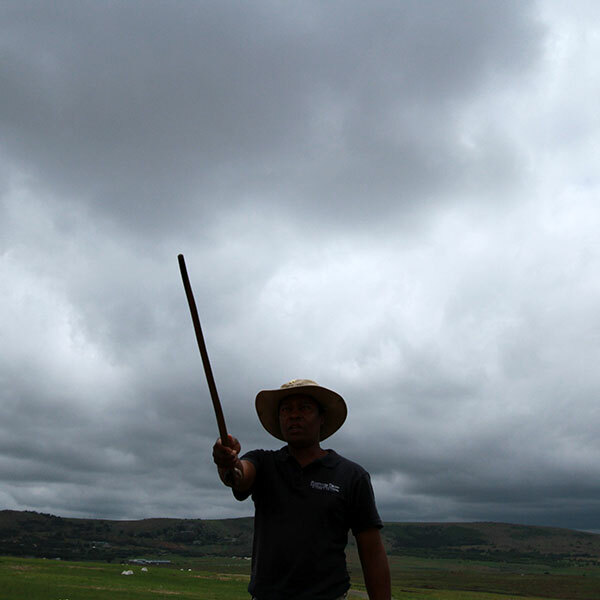 It was a reminder that, as Isandlwana stood vigil over the events that took place on the plains below her, there was another presence that stood silent watch over the keepers of these stories. In following the path of the fugitives who managed to flee the site of Isandlwana, we took an easy walk down to a ledge overlooking the Buffalo River in the afternoon with our guide, Adam. We were primarily told about Coghill and Melvill who, tasked with delivering the colour of their regiment to safety, found themselves confronted by the bloodthirsty second horn of the Zulu army cutting off any chance of safe passage to the Natalian side of this natural border. value the life of your countryman like you do your own? These are questions that replayed in my mind long into the otherwise perfect silence later that night. With our feet on a rocky pathway, we were given an idea of the path they took up a hill to the point at which hope was lost and defeat admitted. A pile of white stones mark the spot where they lay having succumbed to exhaustion and were later killed, a point overlooked by a subsequently-erected grave to mark a humble end to a truly noble story. Storm clouds brewed and lightning shattered the sky. We took a shortcut back to the lodge and finished the story in wet-faced relief after the heat of the day. It was a fitting setting – a room lined with war memorabilia, a replica of the colour, a uniform. It was a room that made us want to explore further. For our final tour, Andrew Rattray took us to the museum at Rorke’s Drift – the battle that wedged itself into the imagination of a global audience decades ago with the release of Zulu. We were to learn that Zulu, in all its success as a timeless Hollywood epic, conveys but a superficial and often incorrect understanding of what took place there. We walked through the museum, given an idea of the original dimensions of the hospital where a handful of sick and dying men found themselves under siege by a rogue arm of the Zulu army frenzied by the victory at Isandlwana and the idea that all that stood between them and marriage was to dip their spears in English blood. A group of military underdogs became heroes as, dwarfed by the vast number of Zulu warriors, they fortified the spot using mielie bags and biscuit tins and, against every conceivable odd, were victorious in their defence of the vast majority of their lives, the outpost and its stores, and British honour. As we walked around the museum with Andrew telling us about the personalities that fought there by the light of burning thatch, I found myself unable to hold back my tears at times. For all their valiance and having lived through a night of almost inconceivable terror, many of them returned to England and to lives plagued by a different kind of hardship – that of a more domestic variety – forever haunted by the screams and bloodshed that were to be confined in every sense to a tiny tract of land in Africa. We visit it now, we cry tears behind our glasses as a deep sense of empathy is invoked by masters born to tell their stories and keep their memories alive. Is it enough? Having looked at the communal lunch table on our first day at Fugitives’ Drift Lodge with suspicion and scepticism, I had no idea that mealtimes would become one of the landmarks in the landscape of my memories of my time there. I had forgotten we had all been drawn to that place by a shared curiosity of the battlefields that bound us all and it was impossible not to completely immerse yourself in the conversation. Chatter ranged from the demise of Prince Imperial to the latest series on Netflix and bonds were quickly formed over common interests that were there long before we took our seats. In a few moments I took for myself at the fire pit, I looked in at the candlelit dining room, a portrait of David Rattray a silent observer from the corner of the room, walls lined with medals, spears, pictures. Luxury comes in a number of forms, but the people at Fugitives’ Drift Lodge are the greatest luxury of all and it was going to be hard to say goodbye. I heard snatches of words reliving the tours of the day mingle with laughter from the other end of the table. It made me think of fraternity and reconciliation, the importance of remembrance, and the interconnectedness of us all. Having interviewed some willing guests during our stay, it was clear that some iPhone etiquette would need to be observed. On being told to turn off our phones at the start of the Rorke’s Drift talk, I knew it had the potential to be a problem. It would have been out of place and perhaps a distraction to us all if I had live tweeted the tours or blogged as I went as I initially thought I might. For the most part, this was not a generation that used their phones to record an experience and, when following the course of history, a mobile is undeniably out of place. As I let myself experience the full force of the tours, my phone tucked away in my bag, I was happy for the lack of signal. Back at the lodge during a bit of rest time, though, I excitedly pored over my photos from the day and admittedly held my breath a little as I pressed the “Suunto Movie” button in the Movescount app. Mphiwa driving us to the Isandlwana area while the voice of the late David Rattray takes us back in time as we pass the landscapes that were once epic battle grounds. Upon our arrival at Isandlwana we were offered much-needed warm beverages before we delved into the history of the grounds beneath our feet. 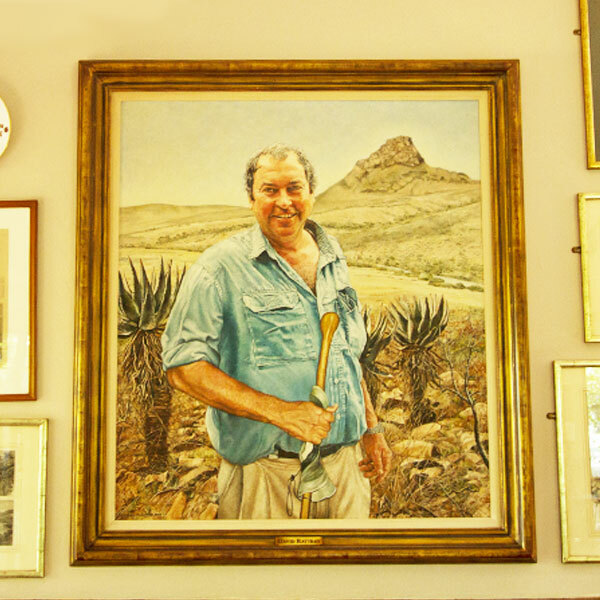 Having grown up in the midst of an area imbued with history and a family dedicated to nurturing its place in the present and future, Andrew Rattray carries the baton (or, in this case, knobkerrie) as a guide at the award-winning Fugitives’ Drift Lodge. We sat down with him to talk about, of all things, mobile phones, the lodge, and some of the moments that stand out in his mind from his time as a guide. Talk to me about the use of mobile phones on historical tours on offer at Fugitives’ Drift Lodge. Do they enrich the experience at all? Andrew: Mobile phones are, without question, very useful, brilliant gadgets. Most of our guests are not part of the mobile-reliant generation, although we definitely see it in people in their 20s or where children are attached to their iPads. There is an Isandwana app available. I used to have it on my phone, but I think I deleted it. I personally wouldn’t recommend self-guided tours of the battlefields using an app as it’s not really an interpretive experience and people stand to take so much more away from visiting and going on a tour with a guide. When we arrived at Rorke’s Drift, you asked us to turn off our phones. Has this been a problem in the past? Do you have any comments on mobile etiquette during your tours? Andrew: Phones are not commonly left on during the tours. We have predominantly international guests staying with us and I think roaming is also a factor. Mostly, I think people don’t understand when it’s appropriate to use their phones and when it’s not. As a guide, there is nothing worse than trying to engage with someone who is engaging with a screen. I’ve had some guests sending texts during the talks. For many of them, I think their phone vibrates and they simply have to check what it is right then and there, especially in the case of people running their own businesses from their phones. It can be the most obtrusive device. Let’s talk apps. What apps can’t you live without? Do you have any recommended apps? Andrew: The Roberts Bird app is probably my most-used app. It also comes in handy when guests ask about a bird they’ve seen on a walk or outside their room. From a description, I can usually go to the app, find a picture and, from the information and text, we can figure out it’s a Paradise Flycatcher, for instance. I’ve tried a few itinerary apps. Frankly, paper works better. I feel better about having flight references and boarding passes on me in case the scanner at the airport isn’t working or something like that. Other than that, what do I use my phone for? News, weather, e-mail, banking, Whatsapp, a bit of Facebook and web browsing. I also have apps that turn my phone into a TV remote, tune into my baby monitor, and control my drone. From a safari point of view, the star-gazing app is pretty useful. The sun is setting. Tea, G&T, or beer? If you could have the beverage of your choice, where is the first place that comes to mind at Fugitive’s Drift where you would like to drink it? Andrew: At the Sangar overlooking the Fugitives’ Drift. Andrew: The Sangar was built by Major Wilsone Black shortly after the Battles of Isandlwana and Rorke’s Drift and it overlooks where the fugitives crossed the Buffalo River. The sun sets right over the Shiyane Mountain as well and the light is spectacular. The experience is one that is deeply moving with incredible stories of human courage. Can you tell us briefly about the history of Fugitives’ Drift Lodge? What can people expect from a stay with you? Who should come and why? Andrew: My grandfather, Peter Rattray, bought the property in the 1960s because he had a very keen interest in the area. He also loved the beauty of this part of the world and used it as an escape from the hustle and bustle of city life in Johannesburg. My father spent all of his school holidays here and that instilled in him a deep love for the area, its people, and its history. In 1989, my parents, David and Nicky, decided to build Fugitives’ Drift Lodge and share this remarkable area with people from all over the world. The experience offered is one that is deeply moving with incredible stories of human courage and endeavour and the triumph of the human spirit. It is something that all people should experience but particularly those who have an interest in their fellow human beings. It is not something for those who just want to tick boxes or laze around at a swimming pool, although we do have one of those to cool off in during the hot summer months! Many people aren’t keen on going back to places on safari. What are the top five places you would like to revisit? Andrew: Pafuri in northern Kruger, Caprivi Strip in Namibia, Etosha, Makgadikgadi Pans. What are the places you’d still like to visit? Andrew: Patagonia, Antarctica, the Russian Steppe. 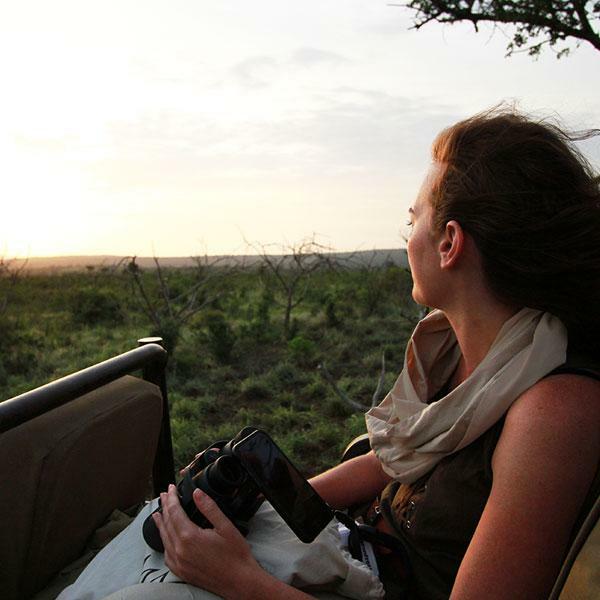 What items can’t you leave home without when heading to Africa on safari? Andrew: Binoculars (usually Swarovskis), camera, hat. What has been your most memorable experience in this part of Africa? Andrew:There have been many! But one that stands out most recently was walking into a female leopard on our property in late 2016. We often see evidence of these elusive cats here, but it’s incredibly rare to actually see one. When is the best time to visit Fugitives’ Drift Lodge? Is there a particular time of year you recommend? When is the rainy season? When does it get very hot? What are your average summer high and winter low temperatures? Andrew: Most people visit us in the summer which happens to be the hottest and wettest time of the year. This has more to do with the miserable weather in the UK in January and February though. Our rain generally comes in the form of short, often violent thunderstorms with spectacular lightning. These don’t often last much more than an hour though and it cools everything down which is a great relief from the 40-degree heat we often experience in the summer. Winter is, of course, much cooler, with daytime temperatures generally around 20 degrees. It does often drop to around zero at night but generally warms up quite quickly as soon as the sun is up. My favourite time of year is May and June – very little rain; cool, crisp mornings and evenings; and the aloes are all in flower, painting the landscape with reds and oranges and yellows. It is a glorious time of year to visit. Just don’t forget to pack warm clothes! What’s the craziest question a guest has ever asked you? Andrew: Does the sun set in the east in the southern hemisphere? 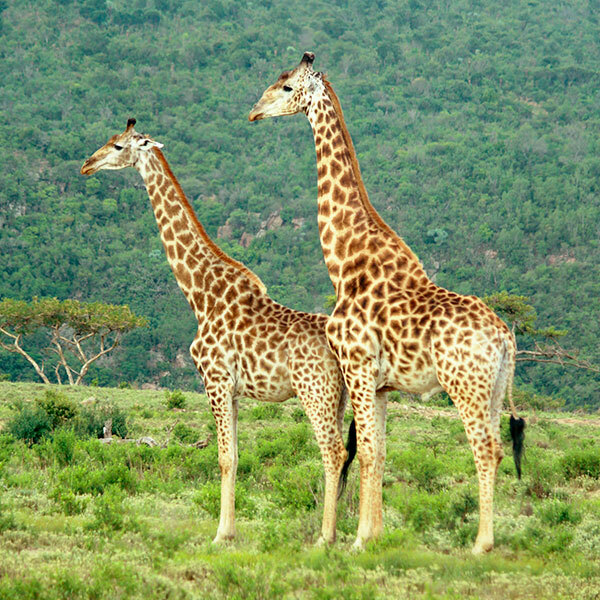 How many birds does a giraffe eat per day? Why didn’t Henry Pulliene at Isandlwana phone Lord Chelmsford to tell him they were under attack? There have been plenty! I had made him see for the first time in his life through the power of the spoken word. Do you have a funny, quirky, memorable, and/or touching story you’d like to share with us about your time at Fugitives’ Drift Lodge? Andrew: The story of the blind man at Rorke’s Drift. When he told me afterwards that he had been blind his whole life and that I had made him see for the first time in his life through the power of the spoken word, it was a very humbling and moving experience for me. Robert Jones was one of the outstanding heroic characters of Rorke’s Drift. His grandson saved and saved to come and stay with us at the lodge and was very moved to come to the place his grandfather had fought. I also met his granddaughter in Hereford. We have had a lot of descendants as guests and Prince Charles and Prince Harry visited in 1997. I’ve been fortunate enough to meet very interesting people and some militarily powerful people who give an interesting perspective when chatting about what’s going on in the world. We love your Land Rovers. Tell us the story about them. Andrew: We love them too! Most of the time, at least! They are the ultimate vehicle for what we do and because everybody loves getting into a Land Rover in Africa, particularly the British. They have their issues and they are all different, but we love them all the same. Tell us what you love about Fugitives’ Drift Lodge; what you look forward to when you wake up in the morning; and the people, places, wildlife, and experiences that make it so special. Andrew: I look forward to the challenge of the day ahead. Every day is different – new guests, different tours, the odd breakdown of equipment. Life is never boring out here. I love taking my family for a walk or drive in the afternoons as the sun is setting and showing my children what this magical part of the world has to offer. 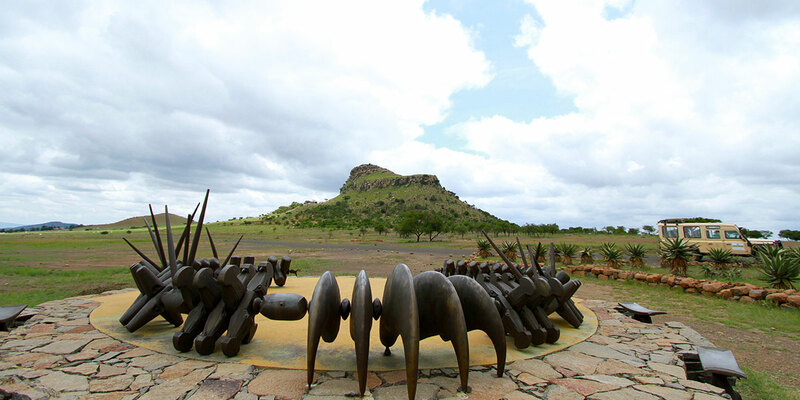 The breathtaking landscape that surrounds Isandlwana has an eerie stillness to it. A memorial was erected at the site commemorating the courage of the fallen Zulu impi. General manager, Simeone, tells us more about bookings, mobiles, the facilities, and her favourite things about Fugitives' Drift Lodge. How do guests hear about you? Are there any booking sites, tour operators, etc. that contribute to your popularity as a destination or do guests tend to approach you directly in booking to stay at Fugitives'? Mostly by word of mouth but also the connection with the movie Zulu. We do also attend a lot of marketing trade shows of which Indaba, Wilderness Safaris, and Tourvest are only a few. Direct bookings and bookings through agents are split equally. We are in the process of registering on Booking.com and already use SAVenues, Portfolio Collection, etc. Would you say planning and booking to stay at Fugitives' Drift is mobile-friendly? If so, in what way? Yes, we do have a website which is mobile-friendly and most guests either phone or e-mail to make a booking which can both be done via mobile. Do you have any recommendations on how using your phone could enrich the experience at Fugitives' Drift? There is a lot of information available online regarding the history of the battles. Reading up before arriving will definitely give you a better idea of the story, but it’s not essential. Phones can be used as a camera and we have the Day of the Dead Moon mp3s on our website to download. 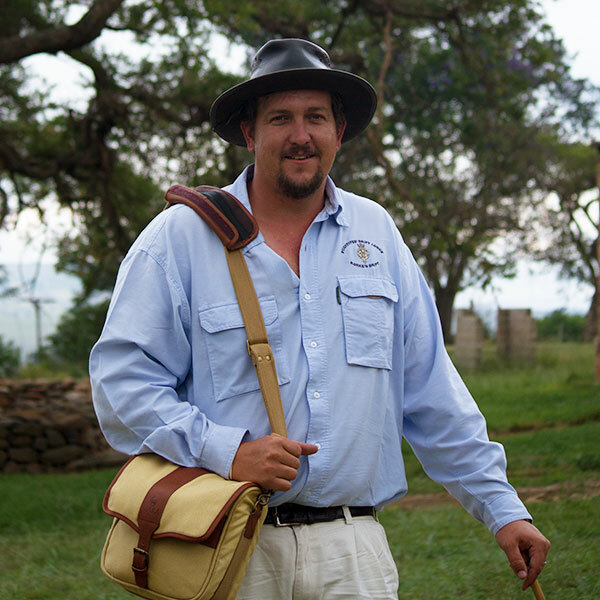 This is a recording of David Rattray telling the stories of Isandlwana and Rorke’s Drift and gives great insight to the history of this area. 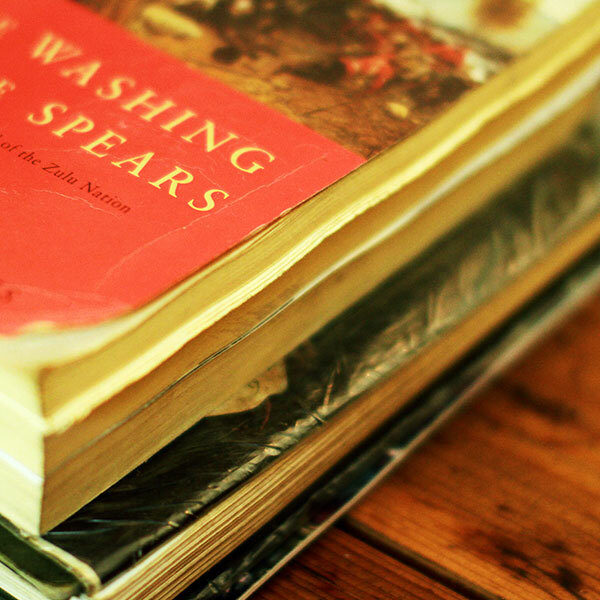 There is also a lot of literature on the topic of which a few options are: "Washing of the Spears" by Donald R. Morris nad books by Ian Knight Watch the movie Zulu and Zulu Dawn. Although the movies are not historically factual, it does set the tone and paint a picture of what happened that day. Do you travel with your mobile? If so, what apps do you use for planning, booking, exploring, and sharing on your travels, if any? Yes, I often use Google Maps, Facebook, Instagram, Uber, Booking.com and TripAdvisor. The sun is setting over Fugitives' Drift Lodge. Tea, G&T, or beer? Where is the first place that comes to mind where you would like to drink it at Fugitives' Drift? Why there? Mahholokohlo. This is by far the most beautiful spot for a well-deserved G&T while watching the sun set over Rorke’s Drift and the Buffalo River. There is no road for cars to drive and having to hike up the mountain definitely adds to the experience with a breath-taking view from the top. Can you tell us briefly about the history of Fugitives' Drift Lodge? What can people to expect from a stay with you? What kind of accommodation and tours are on offer? Who should come and why? Please can you also comment on its suitability for single travellers and groups. one could hardly have come up with more fantastic scenery than that which is found on and around the famous battlefields of Isandlwana and Rorke’s Drift. This spectacular property is a Natural Heritage Site. Walks and horse rides through the reserve to view abundant game and birdlife as well as fishing the 20km frontage of the Buffalo River are available. Fugitives’ Drift is world famous for its battlefield tours, led by brothers, Andrew and Douglas, who are very knowledgeable and highly-qualified lecturers, steeped in the history of the region and telling the tale as they were taught to tell it by the renowned historian David Rattray. Accommodation at the lodge consists of ten spacious luxury en-suite rooms. Each has a private veranda affording views over the plains flanking the Buffalo River Gorge. 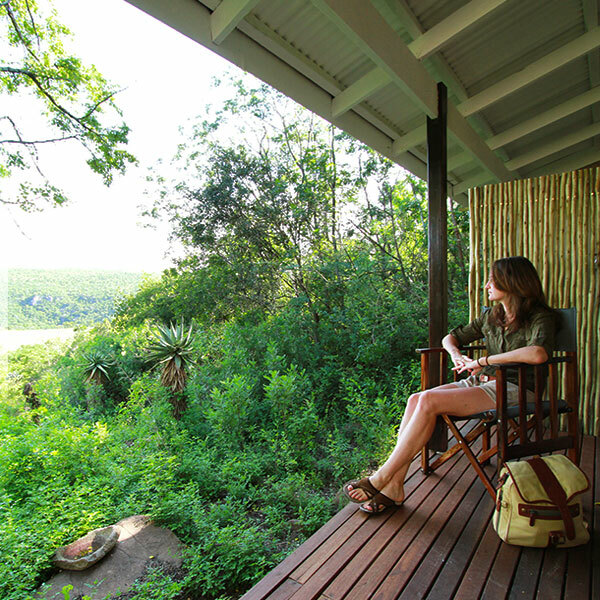 A feature of the lodge is the beautiful, shady, well-established garden – home to innumerable birds – and a most spectacular, large swimming pool situated on a secluded spur on the lip of the Buffalo River Gorge. Recent renovations to the rooms included adding aircons, mini fridges, and outside showers to the rooms. All main areas have been renovated to create a modern and beautiful dining room, sitting room, and bar area with a deck overlooking the garden and reserve. The museum and library are great places to spend some time and learn more about history. The original farmhouse forms a charming sitting and dining room for the guest house, which is set away from the lodge. The guest house has six large en-suite bedrooms, all with private verandas and day beds. The rooms and swimming pool have sweeping views over the reserve to the surrounding battlefields. We also have a guide’s/driver’s room. 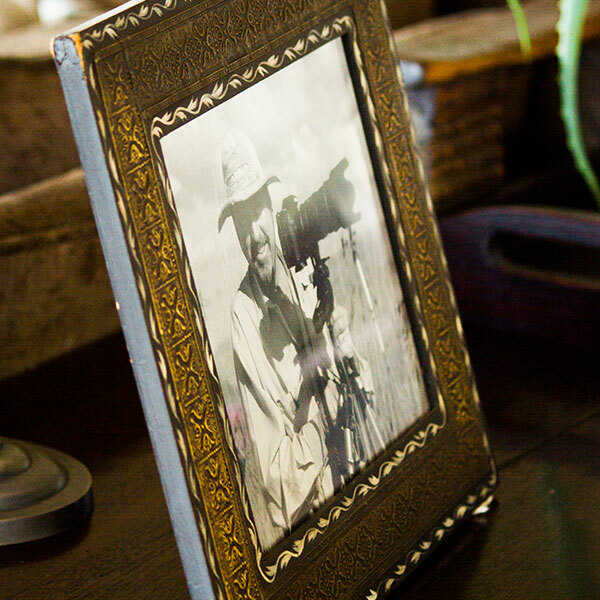 Umzinyathi House, the original home of George Buntting, is our self-catering option. The farmhouse is newly-renovated with 3 en-suite bedrooms and is located at the top of the reserve with commanding views of Isandlwana. Kwa George is a tastefully decorated garden cottage in the grounds of Umzinyathi House. It consists of an en-suite bedroom with shower. Both these options offer a cheaper alternative to the lodge and guest house. 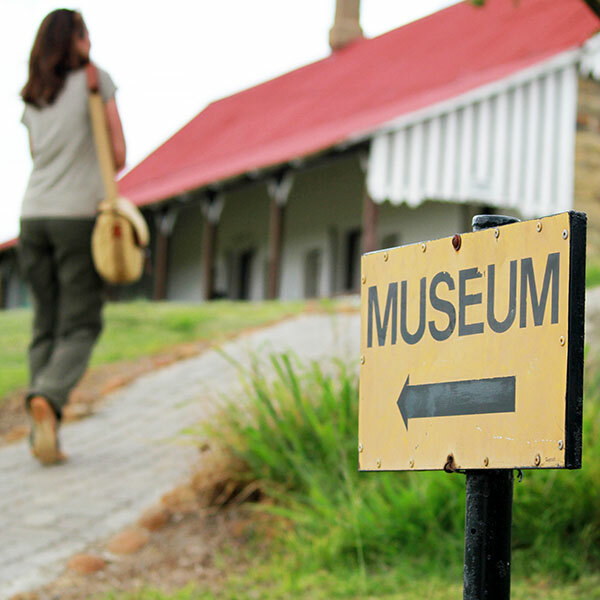 Indulge in sundowners around the fire and dine in the splendid atmosphere of a veritable museum of Zulu War memorabilia. Superb food and personal service are central to the fine hospitality we offer at Fugitives’ Drift. Tell us about David Rattray, the man and his family, his role in the establishment of Fugitives' Drift Lodge, his involvement in the area, the legacy he has left. 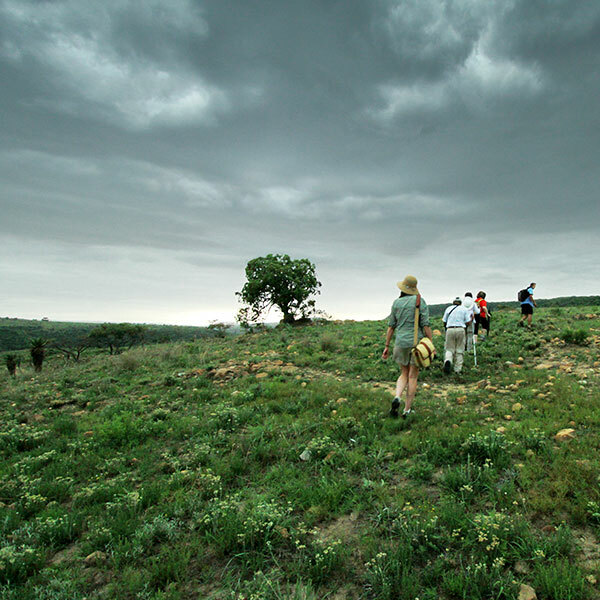 After a period managing game reserves and working with wildlife in Southern Africa, David and his wife, Nicky, began building Fugitives’ Drift Lodge in 1989, since when they have hosted a constant stream of often distinguished visitors and from where these guests set out to visit the battlefields of Isandlwana and Rorke’s Drift. In 1994 – the year of the first all party general election in South Africa – David started to lecture in the United Kingdom. This developed over the years and he had done thirty-five lectures at the Royal Geographical Society in London. 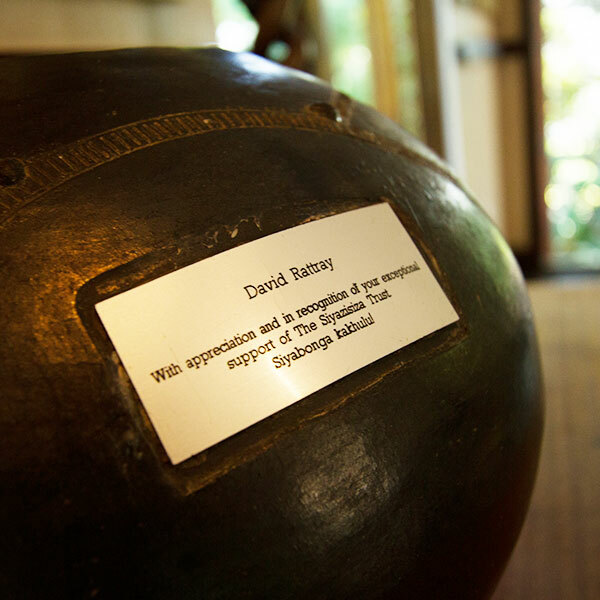 The Royal Geographical Society awarded him their “Ness Award” in 1999 in recognition of widening the popular understanding of Zulu cultures in Southern Africa. David was a Fellow of the Royal Geographical Society. A central theme in all these lectures was reconciliation – and how reconciliation can develop from conflict. David had lectured in America, Antarctica, Hong Kong, and throughout Southern Africa and had been acclaimed by major British newspapers as one of the finest public speakers in the world. In 1999, David assisted with the visit of the Royal Regiment of Wales to South Africa. This famous regiment (of which the 24th Regiment of Foot which fought at Isandlwana and Rorke’s Drift is part) came out to the Battlefields to commemorate the 120th anniversary of these battles. David lectured all these soldiers on both sites over a number of days and hosted the Regimental Dinner at Fugitives’ Drift. This visit was an enormous success and did much to further reconciliation and raise the profile of this remarkable piece of history. It received much extensive coverage on BBC Wales and on the BBC1 news. Later that year at a function held at Sotheby’s, David delivered a lecture. At this function, over £100 000 was raised for education projects at Isandlwana. David’s contribution to tourism in South Africa was recognised in London at the Tatler Travel Award 2002 Ceremony. He was awarded the Tatler/Gordon Campbell Gray award for “Vision in Tourism”. David had an abiding interest in conservation. The Rattray property is a registered Natural Heritage Site. He was a trustee of the WWF, South Africa. He was a trustee of the John Voelcker Bird Book Fund which produces some of the finest ornithological books in the world. He was a trustee of the Magqubu Ntombela Foundation which, amongst other activities, ensures that the historical contribution by Zulu people to conservation in South Africa will not be forgotten. He was a trustee of the Siyazisiza Trust which is the largest NGO of its kind in KwaZulu-Natal and assists tens of thousands of impoverished people in KwaZulu-Natal in the production of craft, vegetables, etc. This craft-making expertise was recently given an enormous profile in London when, at a function also at Sotheby’s, David gave an address, sharing the platform with the South African High Commissioner and the National Minister of Arts, Culture, and Technology. In 2002, he was asked to be a patron of the British-based Wilderness Trust. David and Nicky established the Isandlwana Education Appeal Trust and The Rorke’s Drift Education Fund to help disadvantaged schools in the Isandlwana/Rorke’s Drift area. On his trips overseas, David would talk to his audiences about the needs of the local children of this area for a better education, for a fair chance in life. Education was one of his passions and David firmly believed that, if a child received a good education, he became master of his own fate and that without education, there is no hope. David would use these lecture opportunities to raise funds and became a major contributor to the development of the local community, working in partnership with the local community leaders and local businessmen. These two entities were amalgamated into The David Rattray Foundation in 2007. David died tragically in KwaZulu-Natal on 26 January 2007 and is survived by his wife Nicky and three sons, Andrew, Douglas, and Peter. Tell us about the David Rattray Foundation - its aims, the work it does, how people can get involved and support the foundation, and if there are any success stories that stand out in your mind. 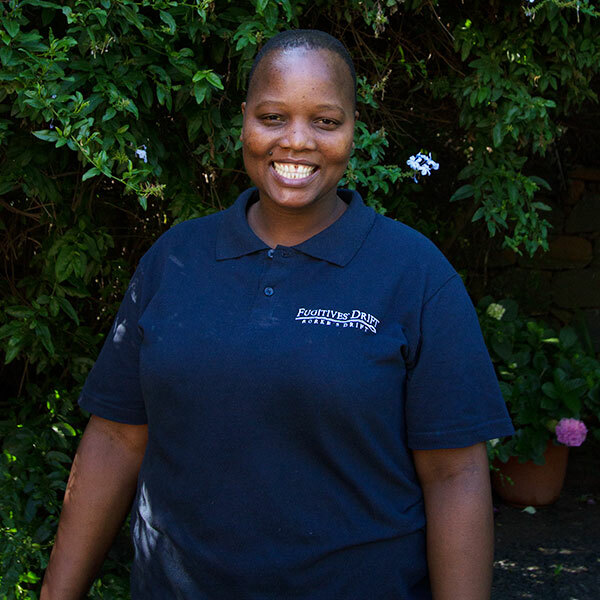 KHULA EDUCATION (www.khula-education.org) was formed during 2007 as a Not-For-Profit Section 21 Company, registered as a Public Benefit Company, and incorporated the work that had previously been done by the Isandlwana Education Appeal Trust and the Rorke’s Drift Education Trust. The DRF was formed under the patronage of His Royal Highness The Prince of Wales and Prince Mangosuthu Buthelezi, and the governance of two boards of trustees, one in the UK and one in South Africa. The Preschool, Primary School, and High School at Rorke’s Drift is a great example of the successful impact the Khula Foundation has in the area, from students obtaining study bursaries to kids involved with the Khula Foundation achieving top results in the class. Being in the bush, surrounded by nature and wildlife is a great privilege. What items do you recommend guests bring along with them to best experience their time at Fugitives' Drift Lodge and when visiting Africa? Other than the obvious, hiking shoes, hats, warm jacket (rain jacket in the summer), binoculars, and cameras are essential. Summers are extremely hot with long mornings in the sun, so guests need to keep that in mind when packing – lots of sun cream! – while winters are very chilly and shouldn’t be underestimated because it’s Africa. When is the best time to visit Fugitives' Drift Lodge? Is there a particular time of year you believe it's best to come? When is the rainy season? Is there a time of year when it gets very hot? 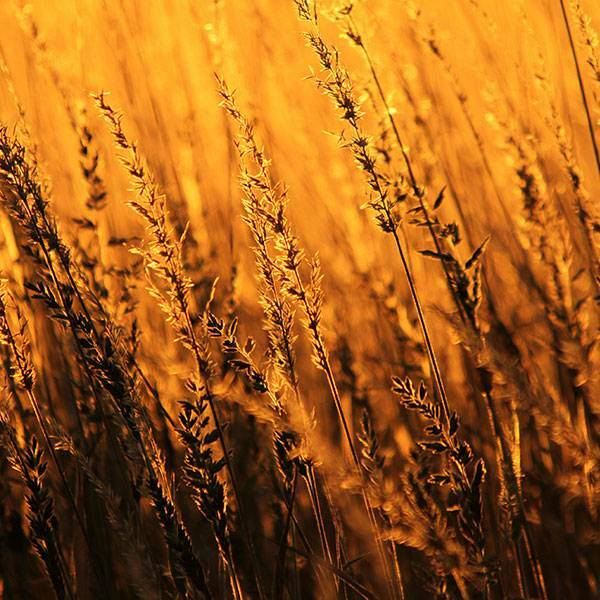 What are your average summer high and winter low temperatures? I grew up in Newcastle which is not far from the Lodge and therefore working at Fugitives’ Drift is very memorable in itself. Being in the bush, surrounded by nature and wildlife is a great privilege and I very much enjoy spending time walking amongst giraffe, running with the zebra, and having a swim in the Buffalo River. What's the craziest question a guest has ever asked you? All guests have dinner with some of the staff every night in the dining room which is filled with memorabilia of the battle, including a large Zulu shield from the movie Zulu. We had a guest who asked what tree the leaf on the wall was from – it was difficult to answer with a straight face! Do you have a funny, quirky, memorable, and/or touching story you would like to share with us about your time at Fugitives' Drift Lodge? I have shared many special moments with friends and family at the lodge. One specific moment that comes to mind was last year on Heritage Day. All the female Zulu staff came together and got a traditional Zulu outfit made which consists of the beaded ‘skirt’, bracelets, and headband. I got called into the kitchen by one of them and received my official traditional wear as a way of accepting me into their community. I am now known as Mngani Wami (my friend) amongst the Zulu ladies. Tell us what you love about Fugitives' Drift Lodge, what you look forward to every morning when you get up, and tell us about the people, places, experiences that make it special. We live on a beautiful property where the views, wildlife, and nature that surround us are enough reason to look forward to each day but, in the end, it all comes down to the people – the Zulu community with their joking, loving, and caring ways; the staff who become lifelong friends; the stories in the office, dinners, and sundowners after a long day. What are the features of Fugitives' Drift Lodge that make it stand out? What makes your approach unique? Guests often comment on the staff at Fugitives’ and how they feel like they were welcomed into the family and I think that’s exactly what sets us apart. We are a community and a family who work together, play together, and truly care about each other. Our guides have a passion for this area and the history which is evident in their superb storytelling and the Rattrays make each of us feel like this is our home. Email reservations@fugitivesdrift.com to make a booking. 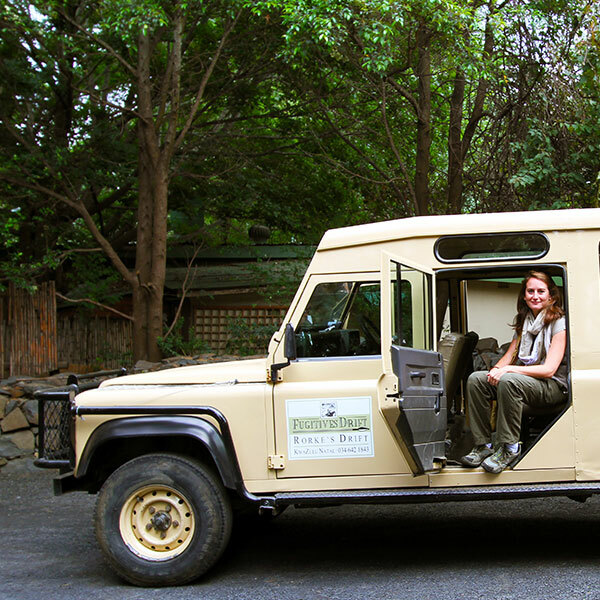 Click here to contact us for advice on a safari to Fugitives' Drift. Scroll through the images below to see some inspiring photos from our visit. The road to Fugitives' Drift lodge is surrounded by breathtaking farmlands and curious cows. A giraffe stretching to get to higher leaves. Nandi, the resident German short-haired pointer joins us on our outings and makes some friends along the way. Good food and wine after a long day of exploring. A small marketplace on route to Isandlwana. Fugitives' Drift lodge is tastefully decorated with rich textures indoors and outdoors.